Norwegian carried more than 2.9 million passengers in May, an increase of 11 per cent compared to the same month last year. 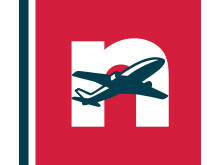 ​Norwegian launches flights from Rome to the U.S.
New low-cost transatlantic flights from Ireland to the US East Coast will include use of the U.S Preclearance facilities at Dublin and Shannon airports. 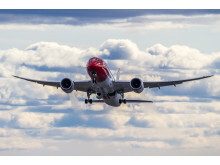 Norwegian carried more than 2.6 million passengers in April, an increase of 15 per cent compared to the same month previous year. Today, Norwegian signed an agreement with a new syndicated structure regarding financing of all six 737 MAX 8 aircraft with delivery in 2017. In addition three 737-800s will be financed with sale and leaseback. 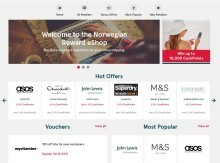 Low-cost airline Norwegian’s loyalty programme, Norwegian Reward, is continuing its UK expansion by launching the Reward eShop with Collinson Group, the first loyalty points earning eShop offered by a low-cost airline in the UK. Norwegian will launch a new route from London Gatwick to Singapore this winter as the airline’s growing low-cost long-haul UK network expands into Asia for the first time.